The Anton Rubinstein International Music Academy offers talented young musicians the opportunity to pursue their studies on an individualized basis. We offer a wide-range of studying options: from full-time study and certified post-graduate programs, to private lessons and masterclasses. Our aim is to provide intense, focused, and internationally competitive courses in a friendly and personal atmosphere. Students pursuing careers as professional musicians are guided by our experienced faculty of renowned lecturers, international soloists, and concert artists. In order to ensure the practical and professional development of each of our students, we provide a wide-range of performance opportunities, including concert series’ and competitions. The Anton Rubinstein International Music Academy offers a range of performance certificates and diplomas for successfully completed studies. Additionally, in cooperation with two Italian conservatories, Conservatorio Giacomo Puccini in Spezia and Conservatorio di Musica “Agostino Steffani” in Castelfranco Veneto, the Academy offers a Bachelor of Music, Master of Music, and Master of Music II (chamber music). Our commitment to bi-national study programs was recognized in May 2014, when the Academy was given an award for “German-Italian Intercultural Achievements” by MERCURIO, the German-Italian industrial federation. The Academy is located in the lively old town of the capitol of the German state North Rhine Westphalia, Düsseldorf. The main building, in the “Haus Goldener Helm,” dates back to the baroque period and is classified as a historical monument. Being located in the heart of an international city, the Academy is within walking distance of many well-known musical institutions, such as the opera (Deutsche Oper am Rhein), and concert halls (Tonhalle, Palais Wittgenstein, Robert-Schumann-Saal), as well as many museums, libraries, and other cultural venues. Since its foundation in 2002, the Anton Rubinstein International Music Academy has closely cooperated with the Steinway-Haus Düsseldorf, which provides the academy with solo-quality instruments for its competitions and for the concert series “Klassische Soiréen auf der Kö”. Starting in the winter semester of 2015/2016, the Anton Rubinstein International Music Academy will be offering a 6 semester Bachelor of Music in composition, piano, voice, and instrumental performance, in cooperation with the Italian State Conservatories Conservatorio Giacomo Puccini in Spezia and Conservatorio di Musica “Agostino Steffani” in Castelfranco Veneto. The Anton Rubinstein International Music Academy currently offers a 4 semester Master of Music in composition, piano, voice, and instrumental performance, in cooperation with the Italian State Conservatories Conservatorio Giacomo Puccini in Spezia and Conservatorio di Musica “Agostino Steffani” in Castelfranco Veneto. This is the highest certification that the Academy issues and confirms the musical competence needed for performing at a soloist-level, as well as pursuing the career of a professional musician. 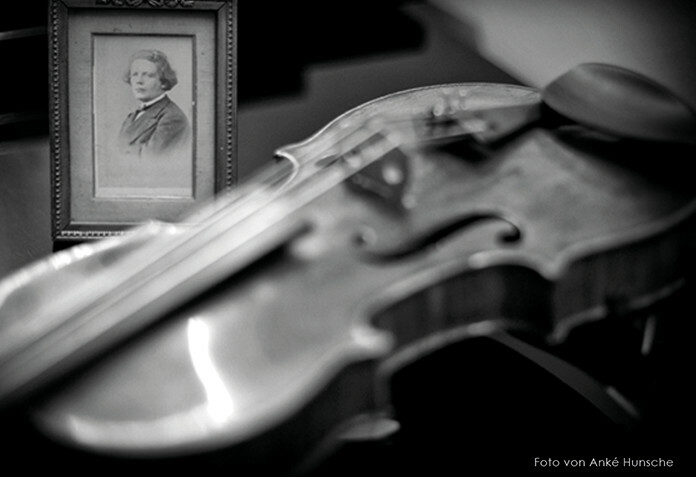 The Anton Rubinstein International Music Academy hosts a number of competitions in order to support and showcase the talents of young musicians. The Anton Rubinstein International Music Academy hosts a series of Masterclasses for students from both the Academy and the general public.